Paulette Phlipot is an award-winning food, travel, and lifestyle photographer. She is a graduate of the Western Academy of Photography in Victoria, B.C., Canada. In 2008, Paulette was awarded “Best of Show” at the annual International Association of Culinary Professionals conference in 2008. She is based in Sun Valley, Idaho. View her work here. Eat fruits and vegetables not because you’re told you should, but because you want them in every sense of the word. Because they are beautiful. And satisfying. And you desire their freshness, flavor, and simplicity. That’s why Ripe is arranged by color, not season. Author and food writer Cheryl Sternman Rule, who is also the voice behind the popular blog 5 Second Rule, and award-winning food photographer Paulette Phlipot, have teamed up to bring inspiration to hungry home cooks. Their goal is not to deliver another lecture on eating for the sake of nutrition or environmental stewardship (though they affirm that both are important), but to tempt others to “embrace the vegetable, behold the fruit” because these foods are versatile, gorgeous, and taste terrific. 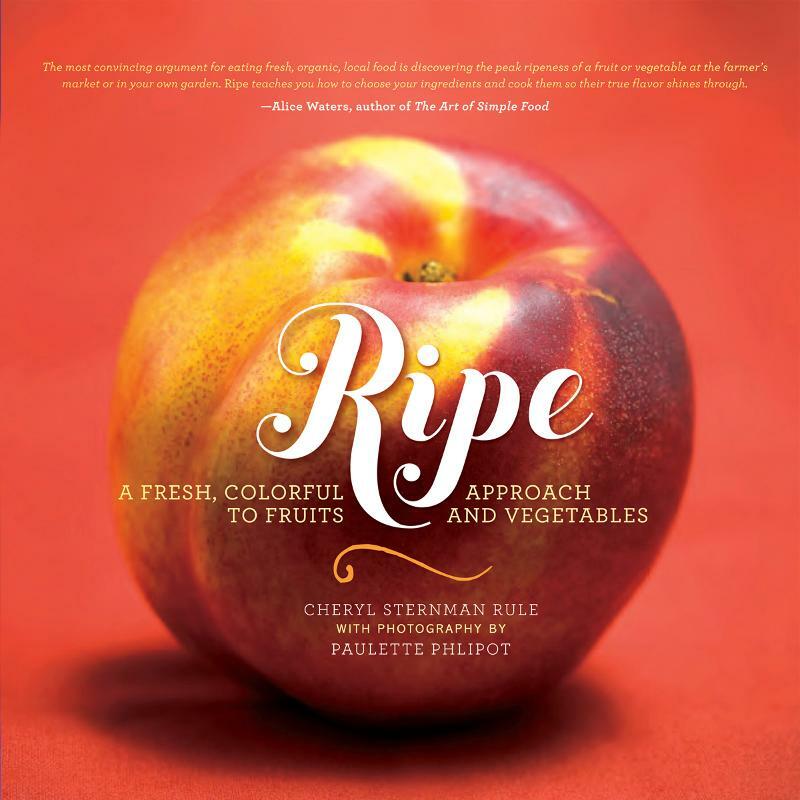 Each fruit and vegetable is accompanied by a lighthearted essay, breathtaking photography, and one showcase recipe, along with three “quick-hit” recipe ideas. With 150 photos and 75 recipes, this unique cookbook will quicken your pulse and leave you very, very hungry.